Most people are familiar with the idea of DNA as a “blueprint” of an organism and its unique traits. Our DNA defines an endless list of things: it makes us human, it contains information about our hair color, eye color, skin tone, allergies, and more. But while DNA does contain all the information about our physical structure, it’s much more than simply a blueprint — DNA, along with RNA, are nucleic acids that serve many important functions in the body besides our genetic background. DNA contains information used by our bodies’ cells in the construction of new proteins, which are needed for cellular growth and reproduction. RNA serves to carry this information to the cells, enabling them to reproduce and repair themselves. Since DNA and RNA are so important to protein construction and transport, they’re at the root of our bodies’ capability to function. The proper structure and function of our cells rely on DNA and RNA, and without healthy cells, our bodily systems will suffer across the board. Unfortunately, as we age, our body produces fewer of the hormones required for generating nucleic acids, leading to an imbalance in our DNA and RNA. This imbalance can have several effects. The immune system relies upon the body’s ability to generate new cells and to transport information from one cell to another. Invaders like bacteria and viruses cannot be fought without a concerted effort from the immune system, which is impossible if the body’s cells cannot properly communicate with one another. Some viruses specifically attack DNA and RNA in the human body, which compounds this problem. As the body’s messaging system, DNA and RNA are the foundation of the immune system. They enable correct identification of invaders and trigger immune functions to work against these identified foreign bacteria or viruses. A DNA/RNA imbalance forces your immune system to work without the necessary information, meaning your body will be less effective at fighting off disease. Even if you eat the most healthful, nutrient-rich food available, what really matters is your body’s ability to absorb the nutrients you’re consuming. 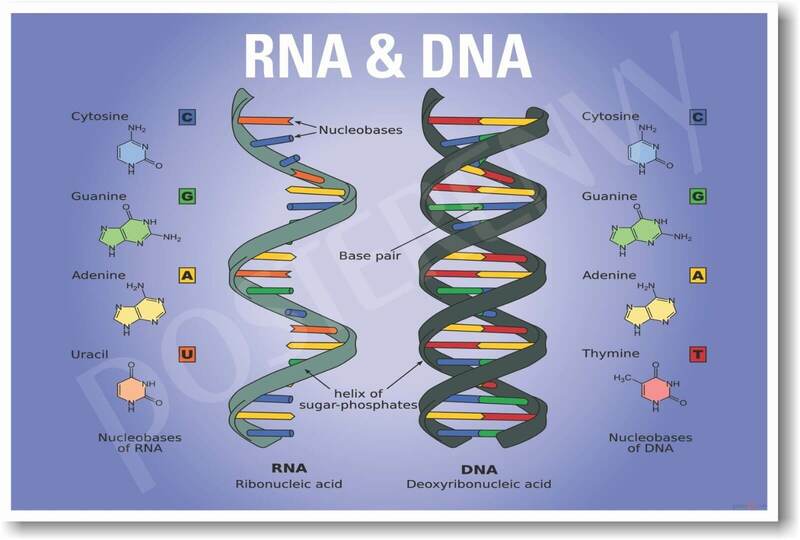 DNA and RNA form an integral part of your body’s nutrient absorption system through their communicative qualities. A DNA/RNA imbalance reduces this vital ability, causing nutritional and vitamin deficiencies even when a person eats healthy and takes in plenty of bioavailable supplements. The health of your hair, skin, and nails relies completely on your body’s ability to heal and generate new cells. Since DNA and RNA are central to this biological function, a DNA/RNA imbalance will result in weak or brittle nails, dry, breakage-prone, thinning hair, and visible signs of aging in the skin such as fine lines and wrinkles. As you can see, DNA and RNA are central to the body’s most core functions, which affect everything from the inside out. As we age, our bodies produce less of the hormones that spur DNA/RNA production and health, leading to reduced protein synthesis and a weakening of the body’s internal messaging system. Fortunately, you can help your body restore this vital aspect of your overall health through boosting the hormones which aid in DNA/RNA production. ProBLEN DNA/RNA formula is a safe, effective hormone booster that works with your body to increase the production of these hormones and lead to a stronger DNA/RNA system. In turn, this restores your body’s means of communicating and synthesizing proteins among your cells, which raises the efficiency of nearly all your internal systems. Immune function, nutrient absorption, and the condition of hair, skin, and nails can all be improved to more youthful levels with the use of our DNA/RNA formula. If you have questions, please feel free to contact us before you make your purchase and we’ll share more information about how and why our hormone boosters work so well, and how they can work for you.